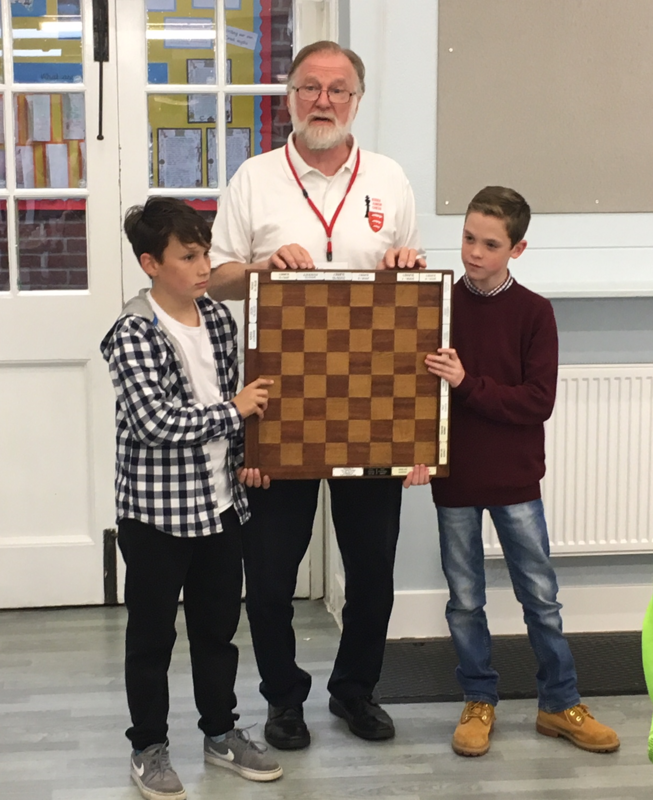 The Essex under 14 team played their first match as defending Fleming Trophy Champions at the Kings Road Primary School in Chelmsford on Sunday, 5 November 2017 against Surrey. 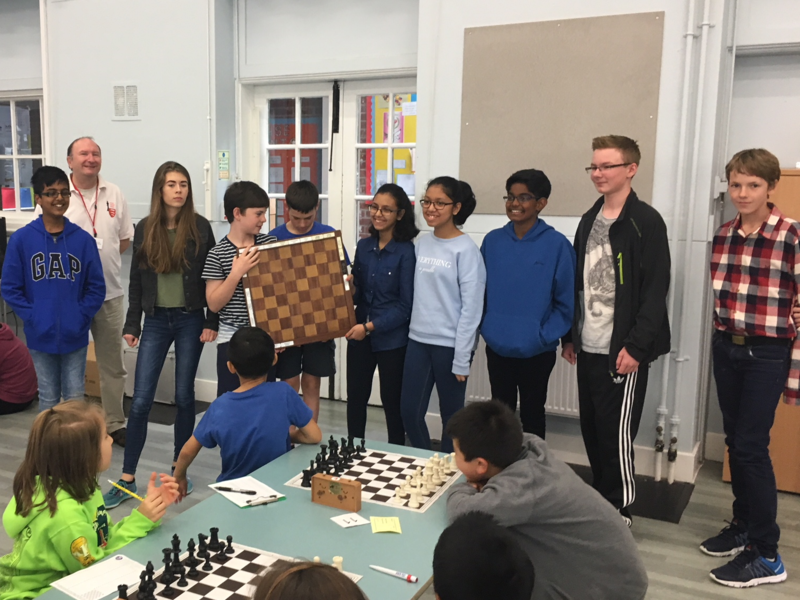 After losing several very good players from last year’s team we welcomed three new players – Kyan (on board 1), Lakshan and Isha plus many players from last year played now higher in the team. Everything seemed to go right for Essex in the first round and at the conclusion of all twelve games we had only dropped half a point!! The excellent refreshments tasted even better than usual at the break between games and the team was asked to keep up the good work for the second round. All the team continued to concentrate hard and many players won both their games. Clearly, it would have been hard to emulate the score from the first round but at the end of the match the final score was a resounding 21-3 victory to Essex. This was the biggest victory by an Essex under 14 team since defeating Hertfordshire by 21½ to 2½ well over seven years ago. Congratulations to all the Essex players (including the reserves) and credit to the Surrey team who fought hard throughout the match and made many of the Essex team work hard for their points. Thanks to all the parents for their help at the match – everything goes towards making the day a success. The photos below show some of last year’s team with the Fleming Trophy at the recent Chelmsford Grand Prix event (the trophy was unavailable for presentation at the final match with Sussex).